Cambodia is part of the South East Asia Field on the Asia Pacific Region. 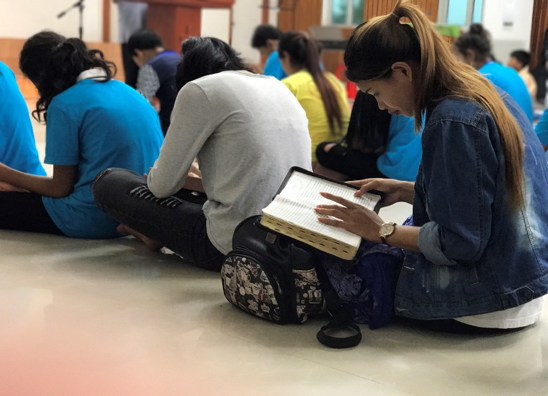 The Church of the Nazarene in Cambodia was reorganized in 2012, after 6 years of crisis, making it the newest District in South East Asia. There are churches in Kampong Thom, Banteay Meanchey, Preah Vihear, Battambong, and Phnom Penh Provinces. 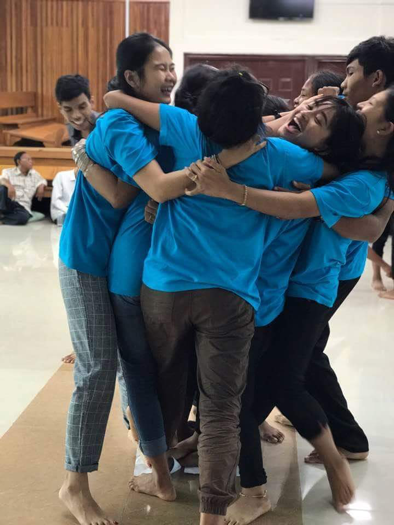 Our District regularly holds Course of Study training programs for the pastors, team leaders, and youth in those areas in order to increase the number of the believers and to make them stronger for God’s mission. 68% of Cambodians are under the age of 30 years old. Many of them are coming to know Jesus in our 50+ Nazarene Churches! 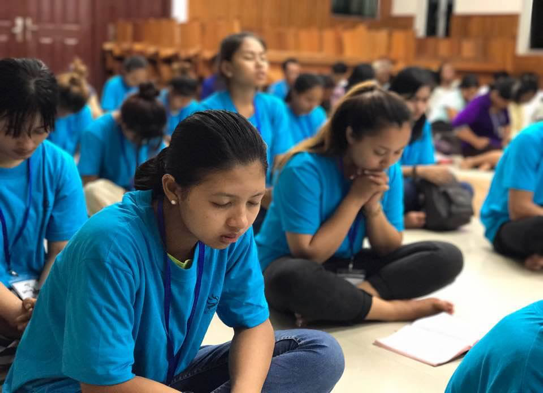 The Khmer (Cambodian) leadership team, Field, Regional leaders and partners around the world pray a lot together for a strategy to teach and reach these young people. God lead us to partner together to sponsor and hold this first NYI Training Retreat. Praise the Lord! We travelled from many different locations to join together August 14th in Sihanoukville. 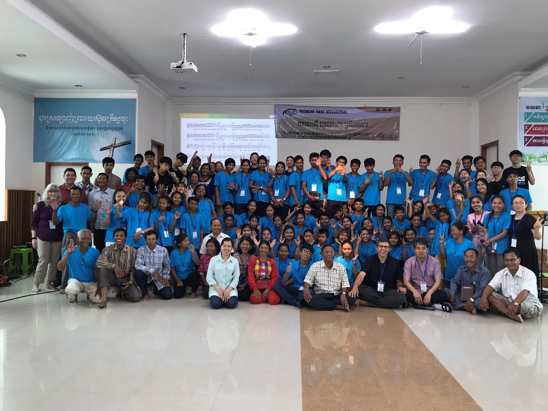 With leadership from Korea, SEA Field, Cambodia, and youth, there were about 100 people for this first-time District-wide event! We worshipped and praised our Father in heaven together for all that He does. We dedicated our time together to Him, asking for His protection and guidance for our days together. He protected and guided us! We learned together about how much God loves us, His plan for our lives and what He wants us to be for Cambodia. We worshipped, studied, went to the beach, worshipped and studied more of God’s Word and plan together. Although the NYI training Retreat is over, the teachings and memories are still with me. The first thing I learned was the NYI Theme “Be Do Go”. I saw these words and started to ask myself: What do I need to Be? What do I need to Do? Where do I need to Go? Luke 10:27, I know God needs me to Be the one who loves the Lord my God with all my heart and all my soul and with all my strength and my mind and also love my neighbor as myself. Matthew 28:19-20, what God needs me to Do is go and share the Good News, make disciples, teaching them to obey everything God has commanded. We need to follow in the footsteps of our master by contextualizing the good news and living out timeless examples of Christ-centered living. Luke 4:43, God wants me to Go to other towns to proclaim the Good News of God. Especially the places around me. The second thing that I learned was Unity. We are from different places and different families, but we join together as one family in Jesus’ Name. “There is neither Jew nor Gentile, neither slave nor free, nor is there male and female, for you are all one in Christ Jesus.” Gal 3:28. 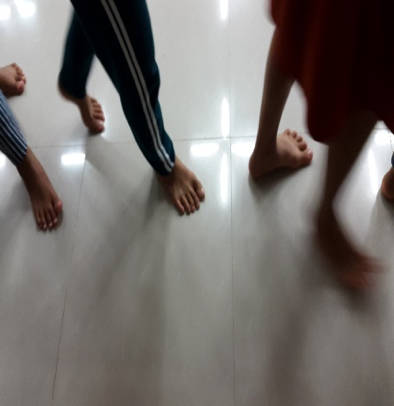 We became one as we had activities and games, danced and worshipped God together. We cooperated with earth other to achieve the same goal. I think this is what God wants. “How good and pleasant it is when God’s people live together in unity!” Ps 133:1.